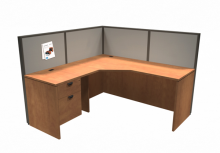 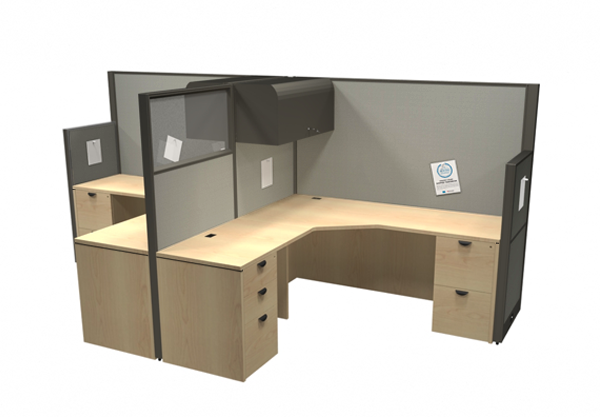 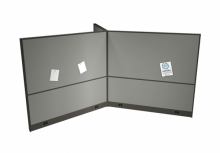 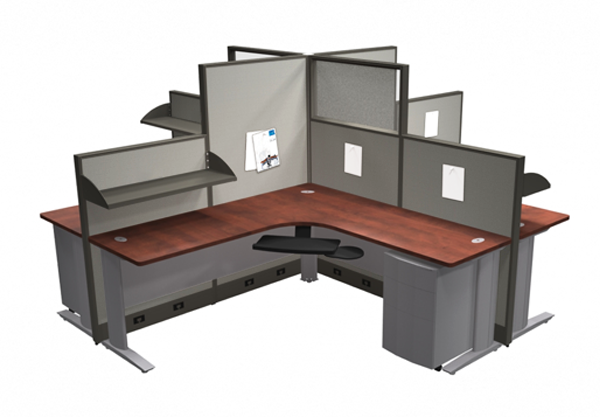 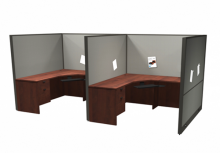 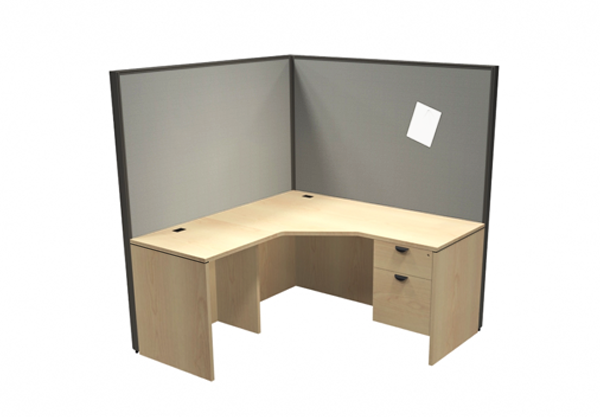 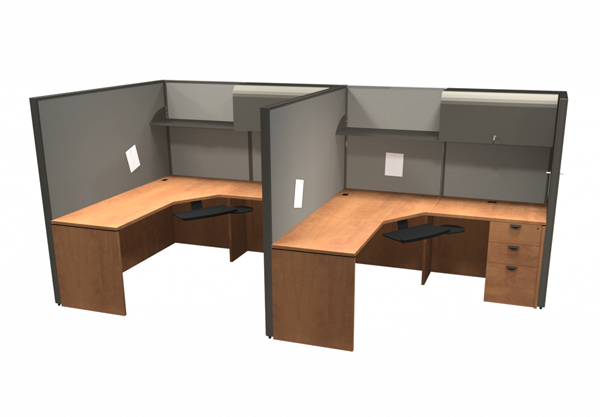 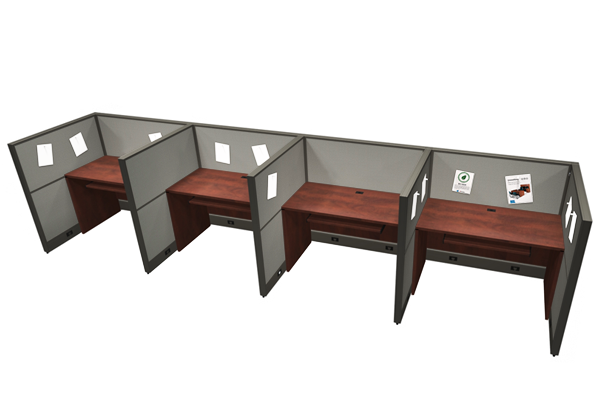 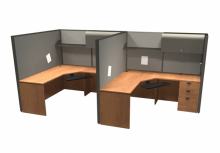 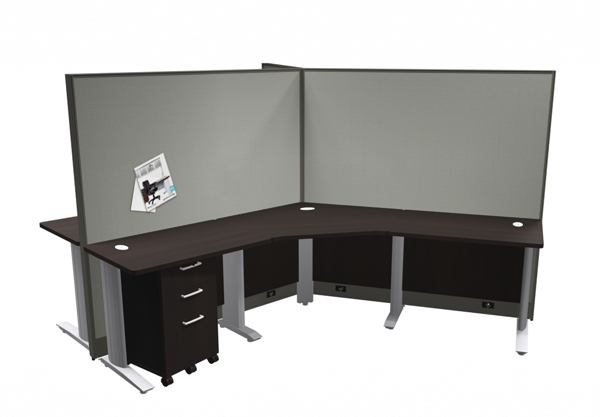 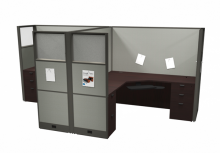 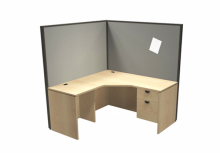 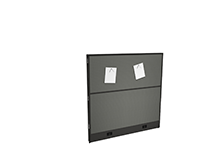 Modular commercial grade panels available in two heights (48 and 66") with a range of varying widths. Clear glass (not frosted) glazing available on some 66" tall panel sizes (Refer to pg FRM-2). Panels are tackable above the height of the work surface. Tackable panels won't deteriorate from repeat pinning. 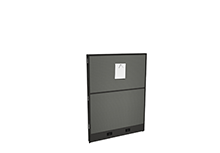 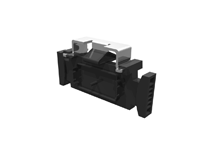 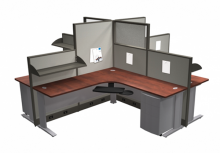 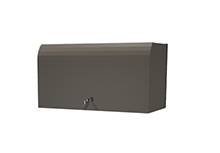 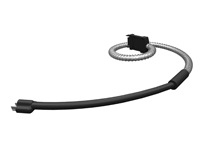 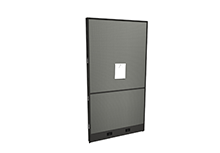 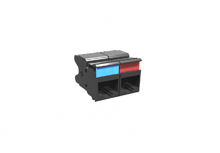 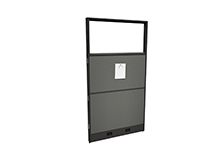 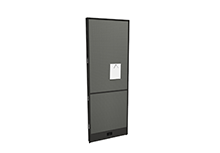 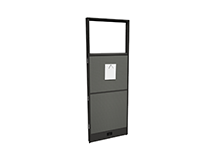 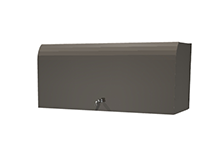 Easy connect panel and post assembly system greatly reduces install time and provides a secure, stable connection. 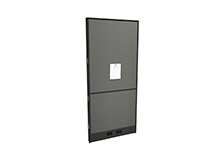 Panel hung storage option which is easy to slide, adjust, and secure to your preferred height. 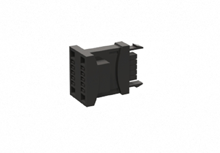 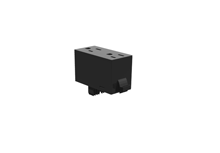 Optional electrical components and data jacks available. 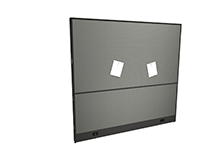 Easy access kickplate raceway along the bottom of all panels allows for data and electrical installation. 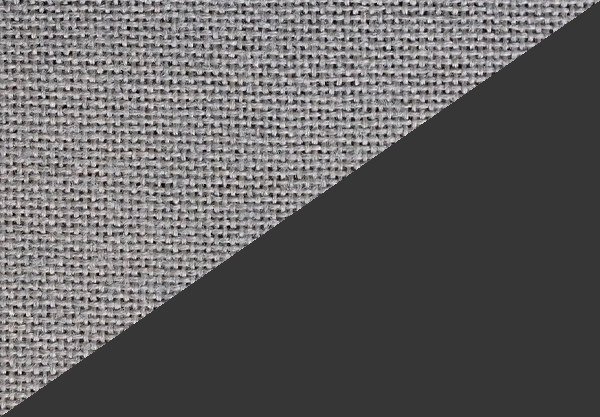 Matching 100% polypropylene woven grey fabric panels. 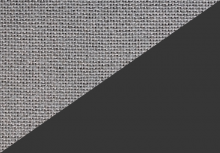 Custom fabric colours are available with adequate volume and lead time. 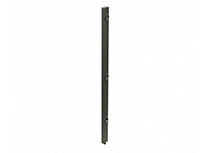 2 3/8" (60mm) extruded aluminum frames provide superior strength and durability. 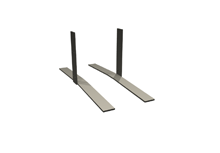 EVA foam for durable tackability. 30" and 36" locking overhead storage cabinets. 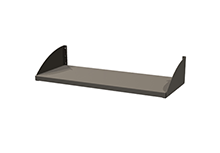 30" and 36" overhead shelves. 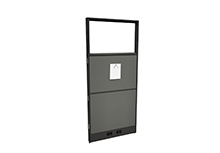 Freestanding base to create room dividers using any panel size. 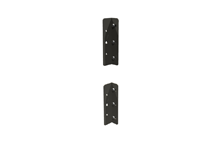 Gable brackets that can be used to connect to freestanding furniture. 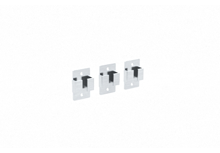 Panel hung tops available through HML (coming Fall 2015). 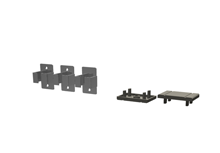 All components can be recycled at end of life. Aluminum extrusions in frames and posts are made from a high content of recycled aluminum. 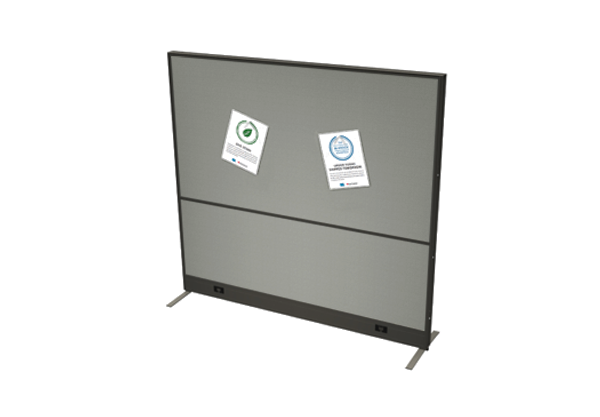 Metal storage and hardware consist of 30% recycled steel. 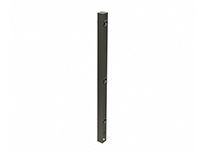 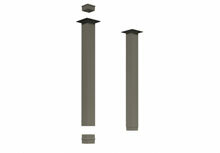 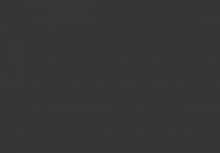 Metal components are powder coated for a durable finish without any lead content or VOC's. 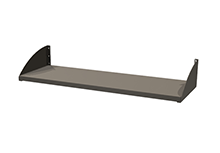 Wood blocks used in the panel construction consist of 100% recycled wood and woodchips. 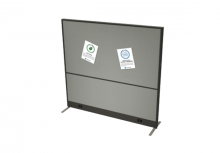 Post and panel packaging completely in cardboard and honeycomb - no polystyrene.